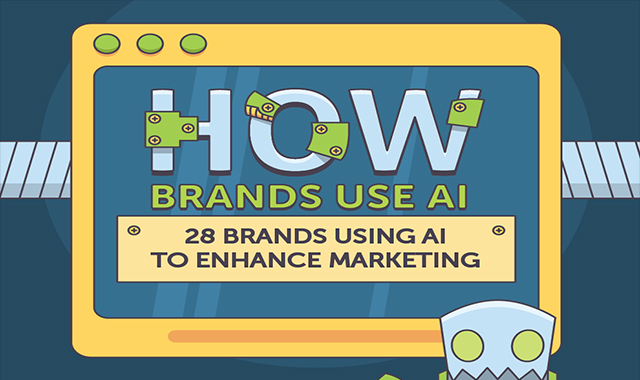 Brands That Use AI To Enhance Marketing #infographic ~ Visualistan '+g+"
We all know how marketing can enhance sales. However, enhancing marketing requires real skills and creativity. Or does it? Can machines do a better job at promoting, advertising, and ultimately selling products than a creative human being? A complete switch to AI seems futuristic, but some major brands have already implemented the tactic of using chatbots, voice assistants, and other smart systems for marketing enhancement purposes. In fact, a vast majority of globally known brands has already benefited from using AI. Let’s see why and how.